I know I had a mystery sauce in my Coconut Chicken picture yesterday, and it was always my intention to post the sauce recipe today. However, I got all kinds of requests for the sauce last night. 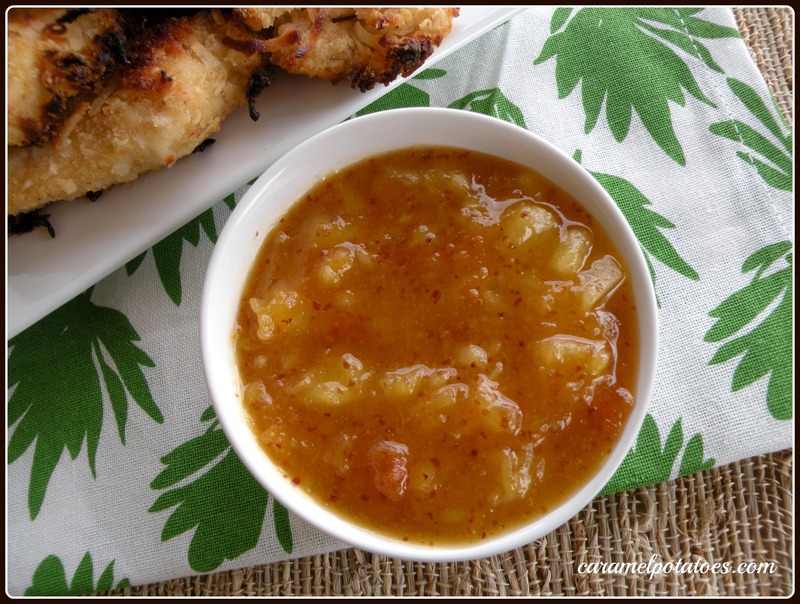 So, here it is…Apricot Pineapple Dipping Sauce. It really doesn’t get much easier than this. Throw three ingredients into a bowl and stir-DONE!! Combine all ingredients and mix well. Store leftovers in the refrigerator. *This sauce goes great with Coconut Chicken Tenders. Ha – I saw that sauce yesterday and wondered what it was – thanks, going to make this and the chicken for sure. Yum, this sounds terrific! I might even add a touch of cayenne pepper to give it a big kick. Thanks for the recipe!